Tinker Juarez at the start of the Tinker Classic. The “Beer And Taco Mountain Bike Festival” is a mouthful in more ways than one. Besides the long and quite specific name of the event, the food, beer and friends keep even the most excitable chatterbox occupied. Located in Beatty, Nevada the festival – which took place at Spicer Ranch May 5-7 – grew to three days in its third year. The second day was the Tinker Classic cross country race with 100k and 60k race distance options. 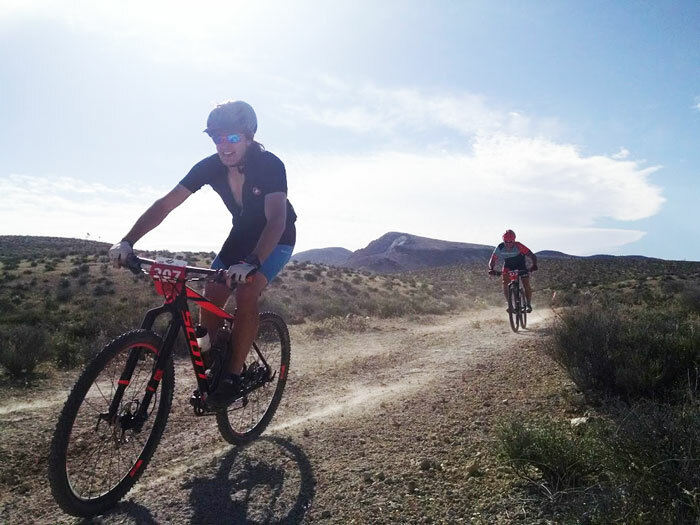 Conditions were less than ideal with gusting winds averaging 18 mph, but the racing went off without a hitch, and Tinker Juarez won the race held in his honor. His hospitality and genuine love of life made the prior night’s celebratory race dinner an event to remember. 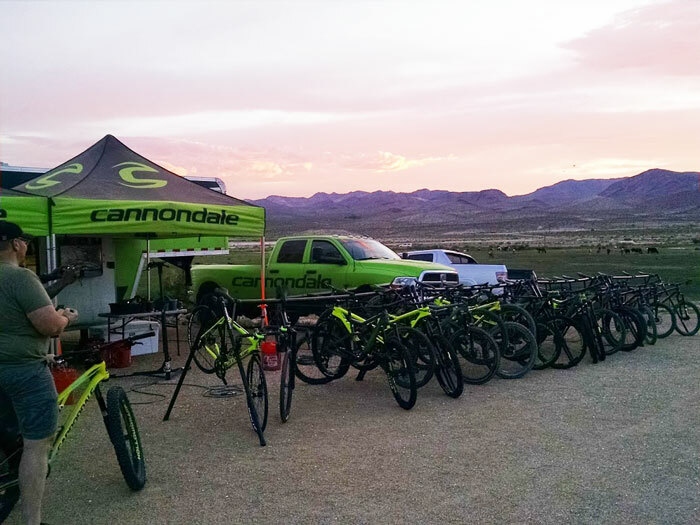 The addition of Cannondale’s largest North American demo fleet for all three days left this rider eager to return in 2018. I arrived early on Friday after a five hour drive in from Northern Nevada. Good camping spots were easy to find and great care was taken to mitigate dust and any confusion. Festival home base is located at the Trails Oasis Valley trailhead north of the small town of Beatty. This is a one of a kind mountain bike area. Dave Spicer, the mastermind and owner of the campground, built large facilities here for you and me and anybody who loves cycling to use. Showers and restrooms are hotel quality. You can stay anytime. There is a donation box at the trailhead and everything is free. Just bring your bike. I found a reasonably shady looking character with a large goatee and figured I had found my people. I pulled the world’s smallest sprinter van (my Toyota Matrix) in next to his glamper and made camp in the RV area. While setting up, I learned by being nosey and friendly that my new neighbor was Tanner and he was Campground Manager. Friday’s events were laid back and if you wanted to demo a Cannondale it was a dream come true, more than 50 bikes and no lines. I took out a new Trigger on the Dynamite Trail. Steep exposure, high winds and an unfamiliar bike kept my speed and ambitions in check. 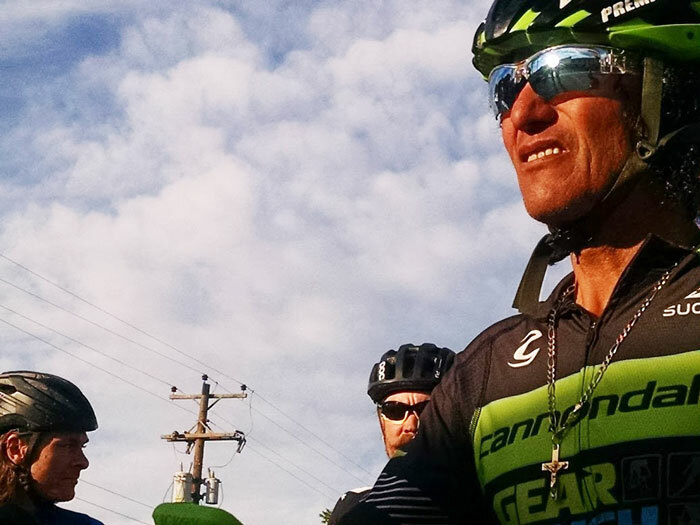 A group of riders also departed on a guided ride with Tinker Juarez Friday morning. I was able to chat with everybody before and after the ride. Tinker was quite gracious with his time. He and his family were the toast of the town in Beatty that night. A large pre-race dinner and riders meeting were held at the community center for all who were attending the race and festival. Tinker was honored with a film and two large cakes decorated in his honor. Good food and craft beer made for a very social evening. Mr. Dave Spicer and the community of Beatty left us all full and happy. I spent all day Saturday taking race photos and cheering on riders in the middle of the desert. Joshua trees, wild burros and the vastness of the Nevada landscape make for great photos. The race finish and festival HQ were at Spicer Ranch. Dave Spicer built the venue just for big events and the after-party was first class with cheap craft beer, live music, contests and a raffle. The party was kept on track by professional race MC Josh Maule. The sun set but the party went well into Sunday morning. Sunday was another chance to ride the vast Trails Oasis Valley system. I can’t thank Dave Spicer, Cannondale, Tinker Juarez, and the race promoter Gro Races enough. 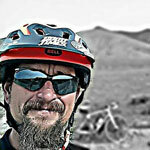 I hope to see more of you at next year’s Beer And Taco Mountain Bike Festival. 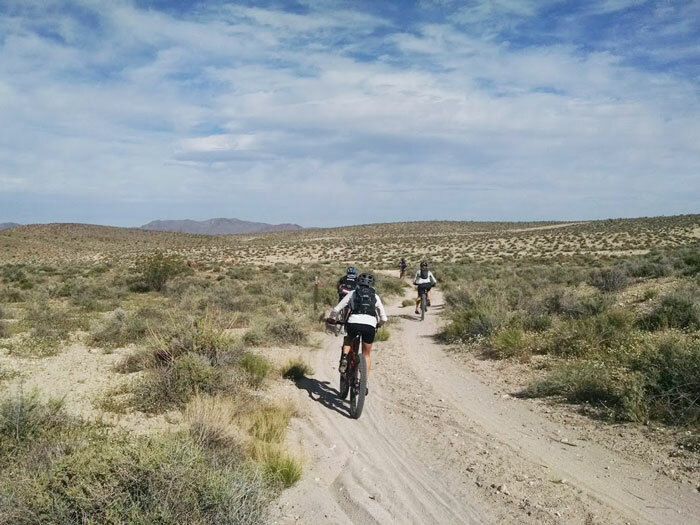 Learn more about Trails Oasis Valley here. Great Job Bud, keep on keeping on!!.. Great story and fantastic race I expect a sellout next year.